Always arrive and be set up, ready to go, at least 15 minutes prior to the deposition. No excuses. (This is a client loser if you’re late; no doubt about it.) You will be working in many different places; i.e., law firms, doctor's offices, hospitals, etc. Always be sure of where you are going. Print a map if you're not sure, and allow plenty of time for traffic or other things that may keep you from arriving at the job 20 to 30 minutes before the appointed deposition. This allows you to set up your equipment and open your file and be ready to swear in the witness on time. If a breakdown occurs and you won’t be on time, call the client directly if you have their number, and let them know. Notify your firm if you do not know the client’s number. 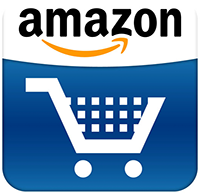 Obtain business cards and e-mail addresses. They will come in handy to facilitate communication between you and the attorneys. Your first impression at each deposition will be important, so look your best. You are not only representing yourself and the reporting firm you are working with, but the court reporting profession as well. The difference between the court world and deposition world is that your client can choose his/her court reporter. Treat all of the attorneys in the case as if he/she were your own client. Always bring your firm’s business card and never solicit work on another firm’s job. Represent the firm you are working for to the best of your ability. As you leave, thank the staff for their hospitality. Take the time to clean up. Every firm has a different format. When you are given a job, ask for the format from the firm. Most firms have packets for new reporters, so be sure to read it and understand it. Make different files in your software and name it with the firm’s name you are working for to keep your computer organized on which format and style to use for which firm. Somebody in the firm will have your software, so ask for a reporter to send you their include files to make this an easy and efficient process. Every firm will require a worksheet from you. Most freelance firms have a job sheet that will be assigned a billing number. Firms have different requirements for their reporters. Some require that you turn a worksheet into the office within 24 hours of taking the deposition to keep track of how many pages are on your desk. Some require the exhibits immediately. To get a head start, your firm can input the information into the billing system awaiting your transcript. Once you turn in the completed job, they can immediately get it to the attorneys. Mark exhibits clearly with your exhibit stamp/sticker and insert witness name, date of depo, your initials. Be sure your worksheet is completely and clearly filled out. If the worksheet is incomplete, it will delay the job and cause frustration to the firm’s staff. If e-mailing transcripts, ensure the file is complete before sending, and arrange to have exhibits in the office so the transcript can go out in a timely fashion. Do not wait until the last minute to turn in those exhibits. Get them to the office as soon as you can. Important: Turn in all work within the specified period of time designated by the firm or requested by the client. Or earlier! If you miss a deadline or know you will, be sure to notify the client and the reporting firm and give them a new date. Then meet the new date. No exceptions! Always be prepared for the job to turn into a last-minute expedite. Deposition rates are unregulated. Therefore, rates vary from county to county and firm to firm. Each firm will have different guidelines on what is considered “regular turnaround” and “expedite” depending on delivery, i.e., 24 hours, two days, seven days. Each firm will charge and pay differently. Ask what the rates are and what percentage the firm will be taking. It is your job to understand how and when you will be paid for your jobs. 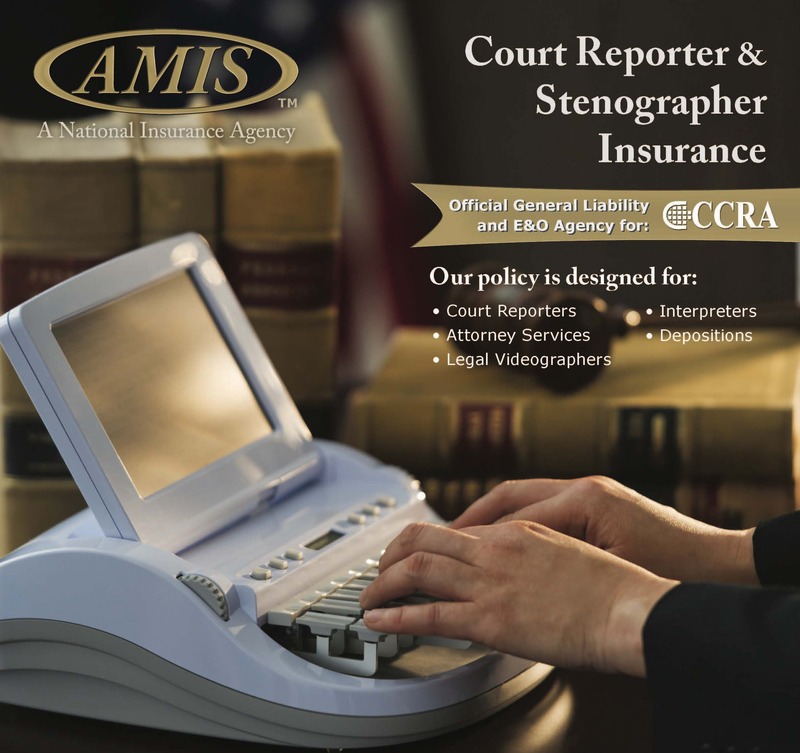 Some insurance companies require the court reporter to have a form signed by the noticing attorney. Just be aware that your freelance firm may need to have requisition forms signed by the attorney you are working for in order to submit the billing to the insurance company. If so, make sure you have the correct billing sheets with you when you go to the deposition and have the attorney sign them. This is not something you will have to figure out; your firm will let you know. If it is a videotaped deposition, the setup will be different. The videographer will decide which way is best to set up the camera and where to put the witness. Work with the videographer and decide together on the setup. The videographer will introduce the deposition, start the record and end the record for recesses and at the end of the day. As the court reporter, you will take down verbatim what the videographer says. You put as a speaker “THE VIDEOGRAPHER:” and then whatever he/she says. After the initial introduction, after all parties have stated their appearances, then you will ask the witness to raise his/her right hand and put the witness under oath. On an interpreter deposition, you will swear the interpreter in before you swear the witness in with the following: “Do you solemnly swear or affirm that you will faithfully and correctly translate from English to ____________ and from ___________ to English the questions and answers in this proceeding (so help you God).” Before the deposition you will collect a card from the interpreter and confirm which language they are interpreting. You should note the appearance of the interpreter and/or videographer on the appearance page. Depositions cancel and reschedule constantly. It is just part of the process. If your job has been confirmed and you arrive at the job to discover that it has cancelled, you will still charge a per diem or appearance fee. Be sure to call the firm immediately and inform them that your job changed status. There is a good chance the firm could use you somewhere else, i.e., another job gets called in that day or a reporter is sick. There is not a “normal” deposition day. Be prepared to start early if everybody is read to go. Bring proofreading or editing to do in case you have to wait for a witness or while they try to settle the case. Bring a snack. Often if the attorney has just an hour to go, they will push through lunch to get it done. Always have a backup plan in case you go past 5 p.m., i.e., getting kids picked up and where they need to be. Oftentimes, the witness is out of town and they just have to finish the deposition that day – even if it takes till 9 p.m. BE FLEXIBLE! Exhibits are very important and are the responsibility of the court reporter in a deposition. Depositions are the discovery process and the exhibits that you mark are being produced and marked as evidence. Once handed to you for marking, the exhibits are in your custody. Clearly mark the front page of the exhibit with either an exhibit stamp (the firm can help you order one) or exhibit stickers. You will fill in the witness name, date, and your initials. Do not place stamp/sticker over any text. This can be tricky at times – you will have to be creative. If you are unsure where to place a sticker, i.e., on a photograph, ask your attorney where to place it. You may have to place it on the back. An exhibit stamp should be in red ink to allow it to stand out. If using exhibit stickers, use a red pen or blue gel pen to allow the information you place on it to stand out. If possible, mark the exhibit in the upper right-hand corner or lower right-hand corner of the page, or ask your reporting firm’s preference. It is a good idea to keep a running list on a sticky note in front of you. The attorney will always ask you which number they are on now, and they expect you to know. As soon as the deposition is over, be sure to collect all of the exhibits and check to make sure you have them all. Create an exhibit log that accounts for each exhibit in your possession. Witnesses and attorneys don’t mean to walk off with them, but it happens often. Once they leave the deposition, it is a headache to collect them, and the chain of custody is broken. If there are colored exhibits or photos, ask the attorneys if they would like a colored copy. It is an extra charge and sometimes they would prefer to have black and white as they may already have the originals. Be sure to note this on your job worksheet so the freelance firm will know. Laminate the witness oath and set it up on your computer and read from it until you have it memorized. Know and understand how the codes apply to depositions. Federal and state rules differ for the reporter when it comes to certification pages, for example. Purchase a CCRA freelance compendium at www.cal-ccra.org. Read it and carry it with you. If you are in doubt about a particular procedure, i.e., motion to compel, motion for protective order, consult the codes. At the end of the deposition, be sure to know how the original will be handled. If the attorneys say “Go per code,” understand what “code” is and what your obligation as a court reporter is. If there is a stipulation entered into regarding the original transcript, get it on the record so the attorneys can go back years later when searching for the original and see how it ended. No matter what the stipulation, it is your job as the reporter to know the disposition of the original, for example, held for 30 days or not. Be sure to note this on the job worksheet that you turn in. Deposition firms survive only on efficiency, quality, accuracy and professionalism. To ensure that you will be called back to work again for a firm, don’t let your first transcript be your last. Treat each transcript like you had your name on every page of the header or footer and be proud of the transcript that you produce. After all, the transcript will speak for itself! Double-check your caption and case number with the case caption you receive on your deposition notice. If you are not provided a depo notice, ask an attorney. They are always happy to provide you a copy. Be sure the attorney firms, names, addresses and phone numbers are correct. Spell check.